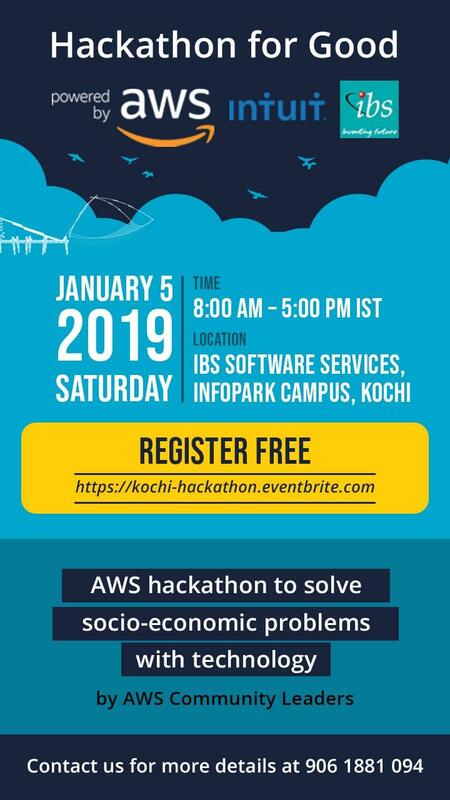 Excited to announce the Hackthon for Good organized by AWS Community Leaders..
Be it a Seasoned Software Engineer or budding developer; here is an opportunity for you to team up to exhibit your deep thought to address social issue blend with the technology of your choice. Let's start the New Year in the Best Way!!! Looking forward for your participation. Register for Hackathon at https://kochi-hackathon.eventbrite.com You can start early and present at Hackathon with your entire team. Group members please register individually so that we have a head count. 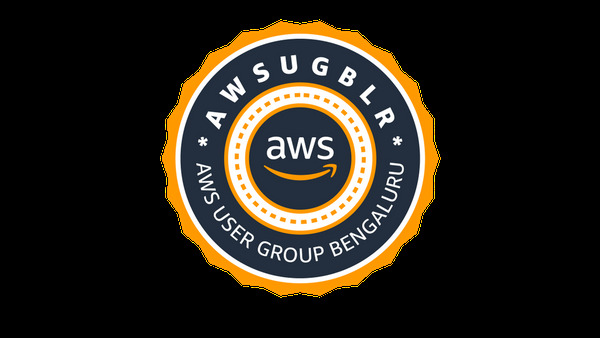 Teams using AWS infrastructure will have an added advantage of getting $20 credits which can be used in the Hackathon. Please note that usage of AWS cloud is not a criterion while judging. Breakfast, Lunch and snacks are arranged. Top 3 Teams will be awarded.